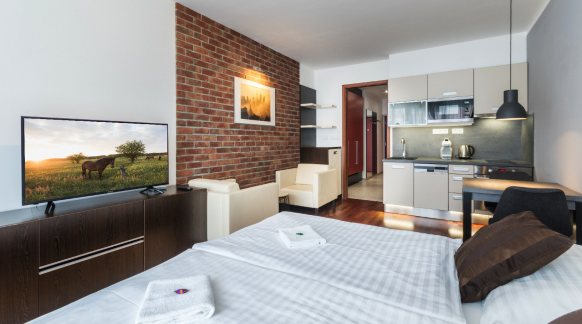 Albertov Rental Apartments introduces a unique philosophy of rental living – the concept of a closed, safe and quiet complex in the vicinity of the historic sight of Vyšehrad. 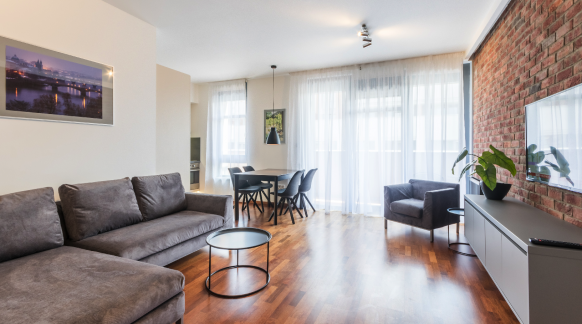 The complex of 269 fully equipped and furnished apartments for rent provides not only comfortable and cosy accommodation in the city centre, but also convenient underground parking and a variety of shops. The all-inclusive accommodation and flexible rental periods offer a real sense of home with the convenience of a hotel. supermarket, ATM, opticians, medical supplies, etc. To have your own apartment means to enjoy the fact you know its environment very well and you feel home there. Your apartment meets your daily needs and it’s a place for your individual personal comfort. It has everything – from a hall with a wardrobe, living room, fully equipped kitchen, bathroom and bedroom to a loggia, terrace or garden. Some apartments even have a private sauna or wine refrigerator. You may also have your own parking place or garage. Once you close the front door, you are the boss. Only you decide what you will have for dinner and what wine you will open; this also means to be at home. And it doesn’t matter whether you have visitors and drink wine with them during warm summer nights or just relax alone in dim lighting. All this has your own apartment to offer – a sense of home. Hotels usually offer single rooms with a bathroom. During your stay, you can ask the hotel reception to help you with your problems and wishes. Your room is cleaned, the towels are exchanged, and you enjoy the comfort, knowing you don’t have to worry about anything. And when something doesn’t work or if there are problems, you just call the reception and get things done immediately. In addition to comfort, you can use other services to have more time and rest in the hotel. 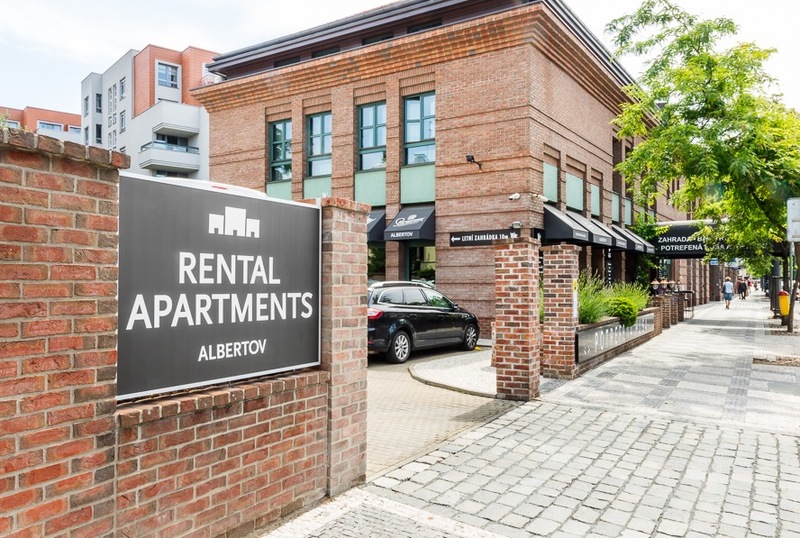 Albertov Rental Apartments offers both – a sense of home with the convenience of a hotel. It doesn’t matter if you come to Prague for a few days, or if you’re planning a longer stay. We don’t have anonymous breakfast buffets or a 24/7 reception. We have invested in comfortable, spacious housing with high quality facilities and equipment. Our reception is available during the opening hours. We tailor our services to your individual needs. If you want to go to the theatre or need help, if you want us to recommend you a trip or order a taxi, we’ll take care of it. If you choose a short-term rental, its price includes all services and bills, i.e. electricity, water and heating, concierge services and property management, the camera system, waste disposal, and cleaning of the common areas. Rentals for at least one month are available for more favourable prices. The price for long-term rentals (for 6 months and longer) is more favourable and includes all services. The cost of electricity, water and heating is paid in advance and annually billed according to the actual consumption. The lessees have the right to out-of-court settlement of consumer disputes. The subject of out-of-court settlement of consumer disputes is the Czech Trade Inspection (www.coi.cz).